Herbalife: Did Icahn Admit to Having a Copy of a Settlement? In an interview about Herbalife on CNBC last week, Carl Icahn appeared to say he “has a copy” of something before again stating Ackman is “totally wrong”. This is being interpreted by Tim Ramey, Herbalife’s main sell side “analyst”, as Icahn admitting he has a copy of a settlement. QTR reveals what Icahn likely actually said, and why analyst Tim Ramey may (again) be leading his readers and investors into the abyss with more confirmation bias. This article references an appearance that Carl Icahn made on Squawk Box last week. You can watch the video of the clip in question here. Last week, Carl Icahn appeared on Squawk Box with Joe Kernen, who interviewed him about all things stock market, including Herbalife (HLF). Icahn gave his rehearsed perfunctory response to the Herbalife controversy, stating that Ackman was “completely and totally wrong” on the company and that Herbalife “creates jobs”. Instead, Kernen decided to make jokes at Ackman’s expense. Not a problem – Ackman has had a rough last 12 months and deserves some criticism in the same media that holds him up when he’s outperforming. But from a journalistic standpoint, wouldn’t it be nice to note that if Ackman were “totally wrong”, the FTC would be letting Herbalife off the hook. This doesn’t appear to be the case. Could this “totally wrong” narrative conjured up by Icahn be the main idea of a defense the company plans on taking to court with the FTC? Will they settle with a fine and business changes? We just don’t know yet, but the one thing we know for certain is that Ackman is not “totally wrong”. But the most important part of this interview was clearly one very peculiar part of the conversation that Herbalife saga followers like QTR picked up on. At one part in the conversation, Mr. Icahn let what appeared to be a large brand-new piece of information slip, when he appeared to say“…I have a copy…” while explaining why he needs to be careful about what he says on live TV. REIT BUY and $90 price target. The statement seemed weird to me immediately. Surely, if Icahn was on TV telling Ackman that he was wrong over and over again and then let it slip that he “has a copy”, that would be dangerously close to material nonpublic information that the public could interpret as a settlement. The company hasn’t made anything definitive yet, which is why Icahn making an admission like this on national TV could have been material non-public information. Icahn stating that he “has a copy” could very easily be interpreted by the public that he has a copy of the settlement and his follow-up comments about Ackman being “totally wrong” could then very well be interpreted that the short squeeze of the century is coming, because Icahn has a copy of something. The whole thing seem to peculiar to me. I had a couple of e-mails going back and forth with friends in the industry on Friday trying to figure out if Icahn had just admitted to having a copy of a settlement on national television. Rather than write it off, I researched this one small line further this weekend. I know you immediately want to listen to it again, so you can watch the video of the clip in question here. This is slang I had never heard before, so it never occurred to me that this could be what he is saying. However, I contacted a second hedge fund source and asked him if this is slang that is relatively well-known within the activist community. He also told me that he had heard of it before. So, now there’s a case for it. Makes sense in context. He is talking about why he can’t say much. So, Mr. Ramey, it appears the real “BOTTOM LINE”, to use your parlance, is that if this is truly what Mr. Icahn says, this could be a decent example of how quickly someone can run with incomplete or inaccurate information. A good question to ask would be whether or not this type of rush to judgment has happened in past analysis of the company by Mr. Ramey. 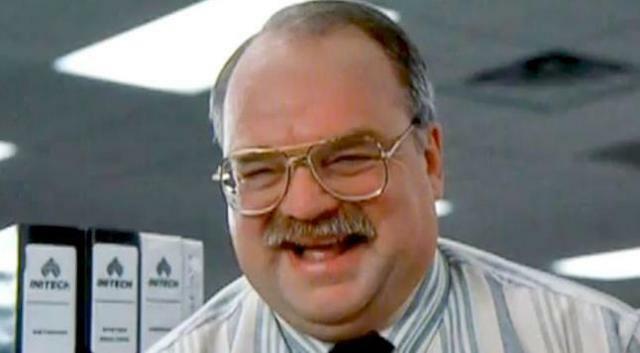 I wonder if Ramey is an Office Space fan. It was a “Jump to Conclusions” mat. You see, it would be this mat that you would put on the floor – and would have different CONCLUSIONS written on it – that you could JUMP TO. The key point here is that Mr. Icahn has been stating the same thing over and over about Herbalife for years, but I have yet to get any indication that he truly understands the company’s business model. The truth of the matter is that we are probably very close to hearing what the next step in this “resolution” will be. The market has been conditioned for a settlement due to a series of media reports that may or may not have jumped the gun. The sheer fact remains that the company’s disclosure stating that settlement or litigation could arise from these resolution talks is still the latest piece of disclosure we have. The D.A.’s got to build a case. Building a case is like building a house. Each piece of evidence is just another building block. He wants to make a brick bunker of a building. He wants to use serious, solid-looking bricks, like, like these, right? He’s going to show you the bricks. He’ll show you they got straight sides. He’ll show you how they got the right shape. He’ll show them to you in a very special way, so that they appear to have everything a brick should have. But there’s one thing he’s not gonna show you. When you look at the bricks from the right angle, they’re as thin as this playing card. Do you think the FTC is holding their ground, and that is why something hasn’t gotten done yet, or do you think lawyers are just hammering out the terms of the settlement? I would share with you my thoughts, but I’ve got a “confi”.